Grow twice as fast and export twice as much as your offline competition. See how you can get trading online. 50% of costs grant aided. We are happy to announce a Microfinance Ireland interest rate cut! The 2012 Action Plan for Jobs set out a series of measures to deliver an enhanced, expanded and more integrated support service for micro and small business. As part of these reforms new Local Enterprise Offices (LEOs) have been created within Local Authorities and the 35 existing County & City Enterprise Boards have been dissolved. 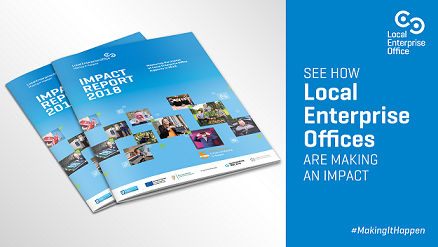 The new Local Enterprise Offices will build on the significant achievements of the County and City Enterprise Boards to date and we will continue to offer an expanded range of supports through Local Enterprise Office Sligo.